Florian Witold Znaniecki (January 15, 1882 - March 23, 1958) was a Polish-American philosopher and sociologist, who gained international fame as the co-author of The Polish Peasant in Europe and America (1918-1920) with William I. Thomas. Their work established the foundation of modern empirical sociology and humanistic sociology. He was the forty-fourth President of the American Sociological Association and the founder of academic sociological studies in Poland, where his theoretical and methodological work contributed to the development of sociology as a distinct academic discipline. Znaniecki, together with Thomas, were the first researchers to use the biographical method, gathering sociological information from written records of the society they were studying. This method recognized that important aspects of culture and ethnicity could be understood through the personal writings of individual members of the society. Znaniecki regarded each individual as a subject, including the social scientist, whose ideas and experiences play a significant role in the way actions, events, and other social relationships are interpreted. He saw social relationships as the basic unit of study, and that they depended on the values of the participants. Thus, Znaniecki's work is a substantial contribution to our understanding of how human beings relate to each other, as individuals and in relation to the larger society. Florian Znaniecki was born on January 15, 1882 in Świetniki, near Wloclawek in Poland. As a child, he displayed an interest in literature and philosophy, and wrote several poems that were published. He entered Warsaw University, but was expelled due to his engagement in anti-Russian protests. From 1903 to 1909, Znaniecki studied literature, philosophy, and pedagogy in the universities of Geneva, Zurich and Paris. There, he became increasingly interested in sociology, and attended lectures by Emile Durkheim, André Lalande, and Lucien Levy-Bruhl. He graduated with a degree in philosophy from Jagiellonian University in Kraków and in 1910 obtained a Ph.D. with a dissertation entitled The problem of Values in Philosophy. Znaniecki was serving as director of the Polish Emigrants' Protective Association when he met William I. Thomas, a sociologist from the United States who had just started research on Polish immigrants to Chicago. When World War I broke out, Thomas arranged for Znaniecki to come to the United States, where he joined Thomas at the University of Chicago. Between 1918 and 1920, Znaniecki and Thomas published The Polish Peasant in Europe and America, today a classic work in sociology. Znaniecki returned to the Second Polish Republic in 1920 to accept the first Polish chair in sociology at the Adam Mickiewicz University in Poznan. There he organized the Polish Sociological Institute and began publishing the first Polish sociological journal—The Polish Sociological Review. Under his leadership, the University of Poznan became the center of sociological research in Poland. Keeping in touch with American sociologists, Znaniecki lectured at Columbia University in New York City in 1931-1933 and during the summer of 1939. This summer ended the Polish stage of his career, since the German invasion of Poland and the start of World War II prevented his return to Poland. He then moved to the University of Illinois at Urbana-Champaign, where he taught until his retirement, deciding not to return to the communist People's Republic of Poland. In 1953, Znaniecki was elected President of the American Sociological Association. Znaniecki died on March 23, 1958 in Champaign, Illinois. Znaniecki is often regarded as the founder of humanistic sociology, a domain of sociology that grew from antipositivism. This idea started with The Polish Peasant in Europe and America (1918-1820), in which W. I. Thomas and Znaniecki put forward a biographical approach to understanding culture in general, as well as an approach to understanding ethnicity in particular. In many respects, this work was ahead of its time, but has been rediscovered in the context of transnational studies in migration. As one of the first sociologists, he started analyzing personal documents like letters, autobiographies, diaries and similar items. Znaniecki believed that social phenomena (Polish czynności społeczne) should be treated as active or as potential subjects of one's actions. Znaniecki's "social phenomena" is a broader term than Max Weber's social actions. According to this principle, each individual's experiences and ideas, including those of the scientific observer, are of utmost importance. Thus, the sociologist should study reality as a social actor (subjectively), not as an independent observer (objectively). 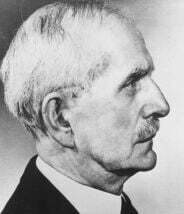 In 1934, Znaniecki formulated the principle of analytic induction, designed to identify universal propositions and causal laws. Analytic induction is a method of social research that is based on inductive methodology, in which theories and concepts are modified through the research. He contrasted it with enumerative research, which provided mere correlations and could not account for exceptions in statistical relationships (Taylor and Bogdan 1998). Znaniecki proposed analytic induction as the answer to the problem of induction and claimed that it was a new method of conducting social research that would give more universal and accurate results. The Polish Peasant in Europe and America, one of the most important of Znaniecki’s work, is considered a classic study of immigrants and their families based on personal documents, and is the foundation of modern empirical sociology and humanist sociology. Lewis Coser (1977) called the work "the earliest major landmark of American sociological research." Under Znaniecki’s leadership the University of Poznan became the center of sociological thought in Poland, and was later regarded as the "school of Znaniecki." It trained numerous famous Polish sociologists, including Stanisław Ossowski, Jozef Chalasinski, Thedore Abel, and Jan Szczepanski. Znaniecki, Florian. 1910. Zagadnienie wartości w filozofii. Warszawa: E. Wende i Sp. Znaniecki, Florian. 1912. Humanizm i poznanie. Warszawa: E. Wende i Ska. Znaniecki, Florian. 1919. Cultural Reality. Chicago: University of Chicago Press. Znaniecki, Florian. 1925. The Laws of Social Psychology. Chicago: The University of Chicago Press. Znaniecki, Florian. 1934. The Method of Sociology. New York: Farrar & Rinehart. Znaniecki, Florian. 1965. Social Relations and Social Roles. San Francisco: Chandler Pub. Co.
Osysko, Edmund. 1982. Florian Znaniecki, educator and humanistic sociologist. Thesis (Ed. D.)—Teachers College, Columbia University. This page was last modified on 13 April 2017, at 15:20.